The Speed Academy abandoned 2008 Subaru WRX STI gets a complete exterior and interior deep clean. 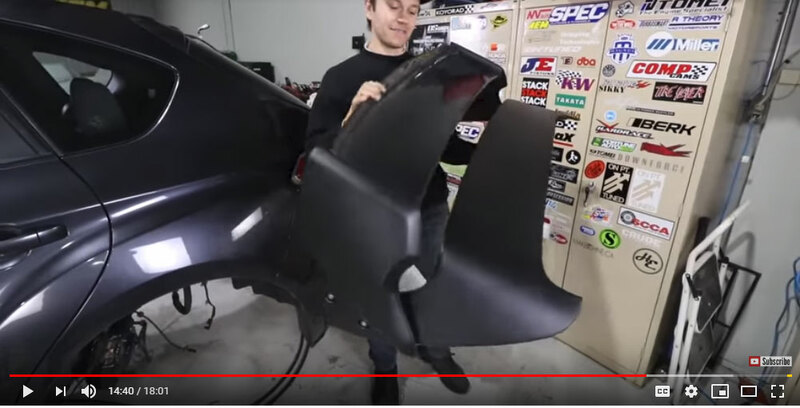 Along with a preview of a few new parts including the Agency Power STI Carbon Fiber Rally Wing. Their series is supported by Turn14 Distribution. One of our most popular and hard to get products for the 2008-2014 Subaru WRX STI Hatchback. The Agency Power Carbon Fiber Rally Wing features an adjustable carbon fiber mid-deck ‘airfoil’ with fiberglass mounting base and side mounts. Each wing is manufactured using the highest quality composites materials and craftsmanship to ensure a top notch product. It is a direct OEM replacement that utilizes factory mounting locations for installation. Whether it’s modified road cars or fully built track cars, they’re all about finding ways to make the machines we love faster and more fun. You’ll find a high-performance focus on their website and in their videos, where they test the latest go-fast parts and build a wide range of project cars while documenting the improvements in performance every step of the way. Dyno tests, track tests, DIY installation guides, and big, juicy burnouts are all part of the master plan.